No matter what natural disaster occurs, Arc Broward is prepared to continue fulfilling its goal of "Changing Perspectives. Changing Lives." South Florida is often the epicenter of natural disasters; whether it be hurricanes, flooding or tornados and Arc Broward, a nonprofit organization that works tirelessly changing how people with developmental disabilities and life challenges are embraced and included, is always prepared to work hand-in-hand with the community to deal with these extraordinary circumstances. T hat type of efficient teamwork was undeniable in early September, as Hurricane Irma, a then Category 5 storm, began barreling towards South Florida. Thanks to the longevity of Arc Broward&apos;s leadership team, as well as the knowledge and proactive measures taken by its staff–including more than 400 Direct Support Professionals and caring advocates in our community–Arc Broward&apos;s 66 adult residents, staff and its 10 locations across Broward County remained calm and above all, stayed safe prior to, during and after Hurricane Irma devastated the area. Arc Broward provides 21 powerful programs through Broward County, including three social enterprises: Arc Educates, Arc Culinary and Arc Tech. Since 1956, Arc Broward has ensured that people with disabilities, not only live, learn, work and play in their communities, but more importantly, thrive. In all, the organization serves over 1,200 families and individuals from youth through adulthood. "With Hurricane Irma, our community was tested beyond measure, and every day we saw more examples of community members lifting each other up in times of need," Arc Broward President & CEO Dennis Haas said. "This starts with solid experience and having a sound plan in place for all phases of a storm." Each year, Arc Broward takes time to update and review its Emergency Plan, one that is approved by the Broward County Emergency Management Division. The plan covers all areas of concern, including communication tools, supplies, evacuation (if necessary), transportation and shelter instructions for Arc Broward&apos;s adult residents in its five group homes and Barc Housing in Davie, FL. Having been through numerous natural disasters, Arc Broward&apos;s leadership team has learned that something new can always be mastered through each emergency, which only helps to further enhance the quality of the future plans. RIDING THE STORM OUT: (Opposite page, left to right) Arc Broward&apos;s Chief Operating Officer Julie Price, Barc Housing resident Jane and President and CEO Dennis Haas. "As we visited Barc Housing and our group homes after the storm, we were reminded again of the passion, commitment and dedication of our DSPs, many of whom left their families and sacrificed personal needs during the hurricane to ensure the safety of our residents." As Hurricane Irma approached, it quickly became one of the most powerful and destructive storms in history. Striking the Leeward Islands first, it caused catastrophic damage to Barbuda, Saint Barthélemy, Saint Martin, Anguilla and the Virgin Islands. On September 4, Florida&apos;s Governor, Rick Scott, declared a date of emergency. Two days later, Irma&apos;s winds reached a catastrophic 185 mph, sending shockwaves throughout the state of Florida as our community extensively prepared. Weather experts initially predicted Irma to turn north once reaching the Cuban coastline, which put it on a path towards South Florida, with an arrival in the Miami-Dade and Broward Counties. As the hours progressed and Irma made her path towards our state, the storm moved more westward, directly hitting the Florida Keys on September 10. It weakened slightly to a Category 4 and made its way up Florida&apos;s Gulf Coast. While the path may have moved, Hurricane Irma was a monstrous size, approximately 425 miles wide, so when the storm finally made landfall, it quite simply impacted all communities. Like all South Florida residents, Arc Broward experienced the onslaught of Irma&apos;s high winds, heavy rain, tornado warnings, possibility of flooding in some areas and loss of electricity. "Our concern first and foremost is making sure our 66 residents at our Barc Housing and group homes are safe and sound during any emergency," Chief Operating Officer Julie Price said. "We also encouraged our own staff to remain calm, focused and productive, and to have their own personal emergency plans in place." Communications play a vital role in the everyday operations of the organization, but especially during an emergency. Arc Broward&apos;s social services team remained in contact with all families before Irma hit to determine whether or not their family member would be evacuating, and if so, to where. The organization also provided updates throughout the storm by email, on its website (arcbroward.com), Facebook page and also implemented a hurricane hotline number during closures. Additionally, the Arc Broward staff encouraged the use of phone apps as good resources for current, critical information. Some of these apps included GasBuddy, Florida Power & Light&apos;s Mobile App, Hurricane Trackers and local news stations&apos; apps. 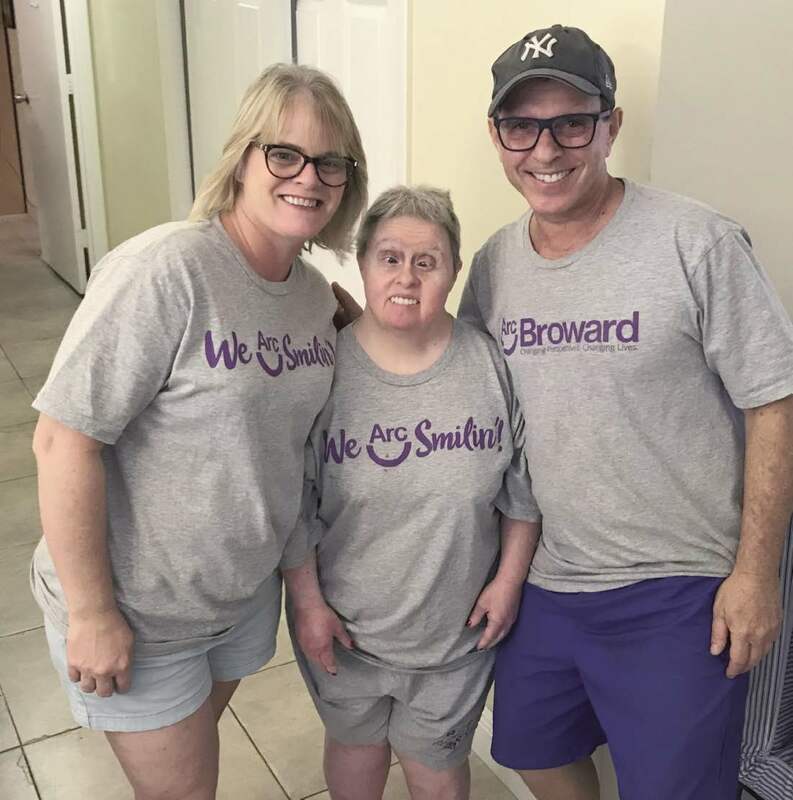 Broward&apos;s mission is to transform the community by providing opportunities for people with disabilities and other life challenges to realize their full potential. Since 1956, Arc Broward has worked hand-inhand with our community, changing how people with developmental disabilities and life challenges are embraced and included. This critical work ensures that people with disabilities, not only live, learn, work, and play in their communities, but more importantly, thrive. In regard to closing Arc Broward services, the preschool and other programs abided by the Broward County Public Schools closures, which began on September 7. Thankfully, all schools and services reopened on September 18. The administrative offices of Arc Broward, located at the Sunrise Main Campus on 10250 NW 53rd Street, closed on Friday, September 8 to allow employees ample time to finish hurricane preparations. Like many South Florida residents experienced, the office lost power in the aftermath of Hurricane Irma and didn&apos;t fully gain back electricity until Thursday, September 14. Many of the diligent, unwavering employees utilized the option to work remotely throughout that week in order to keep the operations moving. Staying persistent in care, some of the dedicated Direct Support Professionals hunkered down with adult residents who were sheltered at Barc Housing, Arc Broward&apos;s 36-bed licensed Intermediate Care Facility. In preparation, all residents of Barc had a minimum seven days&apos; worth of medication on-hand. Additionally, any resident who had medical equipment which required electricity or more medical oversight, was assured they would have the necessary medical support during the hurricane, as nurses were available 24/7 during the storm. Even nutritional plans were put in place as menu plans were adjusted to accommodate the necessary allotment of food and water so that the residents and staff could remain hydrated and have the proper nutrition during the long haul, if necessary. "As we visited Barc Housing and our group homes after the storm, we were reminded again of the passion, commitment and dedication of our DSPs, many of whom left their families and sacrificed personal needs during the hurricane to ensure the safety of our residents," Haas said. "To see their faces alongside our residents after Irma demonstrated why at Arc Broward, truly, &apos;We Arc Smilin&apos;!" 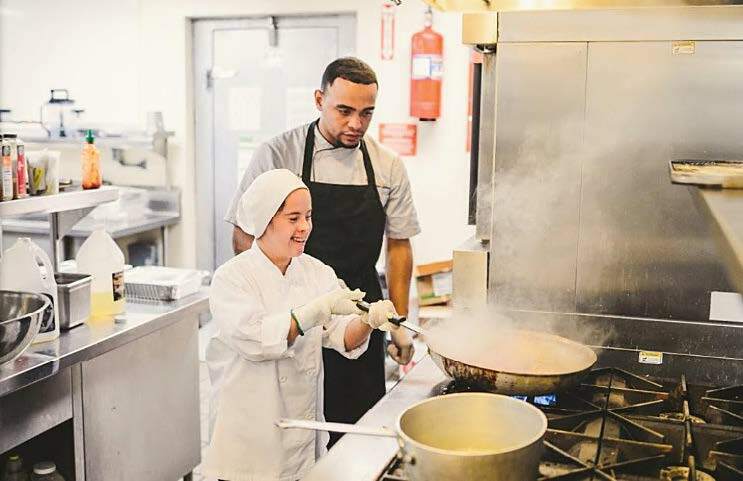 PREPARATION IS KEY: Arc Broward continues to transform the community by providing opportunities for people with disabilities to realize their full potential, such as Arc Culinary; doing it during a natural disaster is simply part of the overall mission. In addition to making sure all 10 locations were properly secured, the operations team distributed food and water, tested generators, fueled up gas tanks and afterward, inspected sites for safety issues. Each family of all children served in all programs were contacted afterwards as many kids and parents had increased anxiety due to power outages. Having limited air conditioning and/or no lights due to power outages, as well as limited supplies, can be especially frightening for those with developmental disabilities. Many kids exhibited increased behaviors such as aggression and elopement. Parents as Teachers (PAT) staff provided case management, linking fami lies with resources for food and water, and provided flex funds for many for groceries. Furthermore, Arc Broward provided alarms that sound when doors or windows open to one family of child who tried to elope throughout and after storm. Most importantly, Arc Broward provided in-home respite within a day or two of the storm hitting to all families who expressed the need while schools were closed. This ensured parents could focus on the necessary and often grueling post-storm clean-up. Arc Broward is grateful to the organizations and individuals in South Florida who believe in its mission. "From past experiences, we know if there is anything needed, it&apos;s best to just ask for help and not surprisingly, the community gives back," Haas said. "We are so incredibly grateful for our Board of Directors, area businesses for providing us with supplies and the volunteers of HandsOn Broward for assisting with the clean-up efforts when our campus reopened." Haas credits the strength of Arc Broward&apos;s community involvement and building lasting, strong relationships with other organizations, such as HandsOn Broward, the United Way of Broward County and others, with the direct relief and assistance provided during and after Irma. What many often forget is the importance of organizations like Arc Broward to open as soon as possible after a storm. "It is critical to get back up and running, especially for our Respite services, high school programs (School of Hire Education and Youth Links, ABLE), employment-based and adult day programs. It&apos;s part of Arc Broward&apos;s goal to provide relief to the individuals and their families we serve, so they can get back to their normal routines," Haas said.